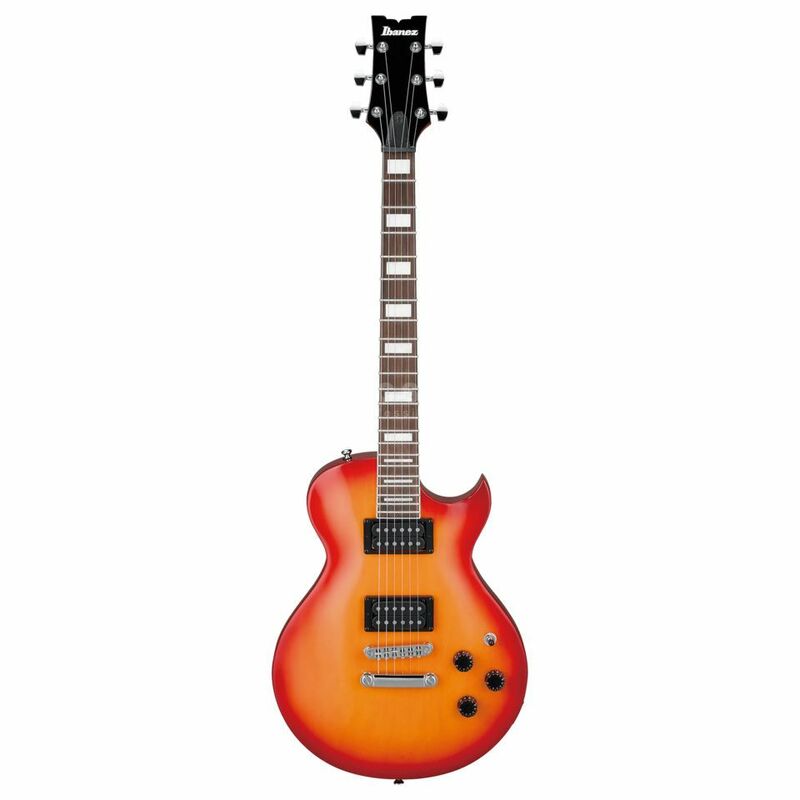 The Ibanez ART120-CRS Standard (Cherry Sunburst) represents the classic single-cut design as part of the Ibanez line-up. Equipped with 2x powerful Ibanez Infinity R humbuckers, the Artist model from the Ibanez Standard Series delivers the steaming sounds of rock and metal as well as subtle and more expressive clean sounds at lower volume settings. On the hardware side, the Ibanez ART120 uses a classic Tune-o-Matic/Stopbar combination in the form of the Ibanez Full Tune III bridge with individually adjustable string riders to change intonation, while solid die-cast tuning mechanisms provide reliable tuning stability.